Arcadia, a brand that started making watches in the year 18something – the website only mentions “19th century”, I assume they KNOW the exact year – tries again in 2010. As so many other brands, Arcadia went bankrupt during the 1970s quartz crisis in watch land. According to their website, Arcadia was even the symbol of Swiss watchmaking excellence in the 19th century. 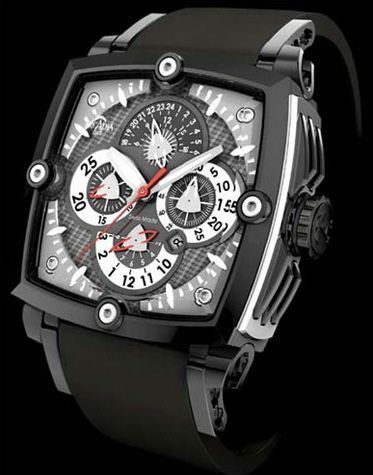 A quick query on Chrono24 and eBay did not give a result on Arcadia (watches) at all. Now, I love watches and give kudos to anyone starting a new watch brand driven on innovation, [complicated] mechanical techniques and design but starting a brand driven on the fact that they bought an old brand name, using a crappy website with no background on their company other than a few pictures of watches and a few lousy one-liners is becoming quite annoying. That’s what I call an introduction to a new brand. We’ve seen a couple of these brands before and most of them disappear as quickly as they were launched anyway. I could be wrong of course, and perhaps their website is still in beta phase or that I misread the specifications of this watch (I just read all the features of the 3rd party Dubois Depraz movement and the case dimensions) or that this watch is just $995, but I expect that it is not. According to Europastar, only 275 pieces will be made of their AC01 model (as pictured above). This means that Mr Claude Sanz isn’t probably in it for the money, so what is his drive? I noticed that Arcadia will be attending the GTE (Geneva Time Exhibition) 2011 in January, an exhibition for independent watchmakers. Let’s hope that Arcadia will still be around by then and will have some more information available that will proof that I am being too sceptic.